Karen Jillings is Senior Lecturer in History at Massey University, based in Palmerston North, New Zealand, where she has taught since 2004. Her research broadly considers pre-modern medical beliefs; she is particularly interested in plague in Scotland but has also published on healing waters, monstrosity and tobacco. Her second book, An Urban History of the Plague (Routledge, 2018) is the first case study of responses to plague in early modern Scotland, focusing on the north-east of the country, and follows her first book, Scotland’s Black Death: the Foul Death of the English (Tempus, 2003; History Press, 2007). 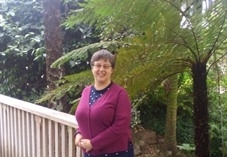 Karen joined the ANZAMEMS committee in 2018.